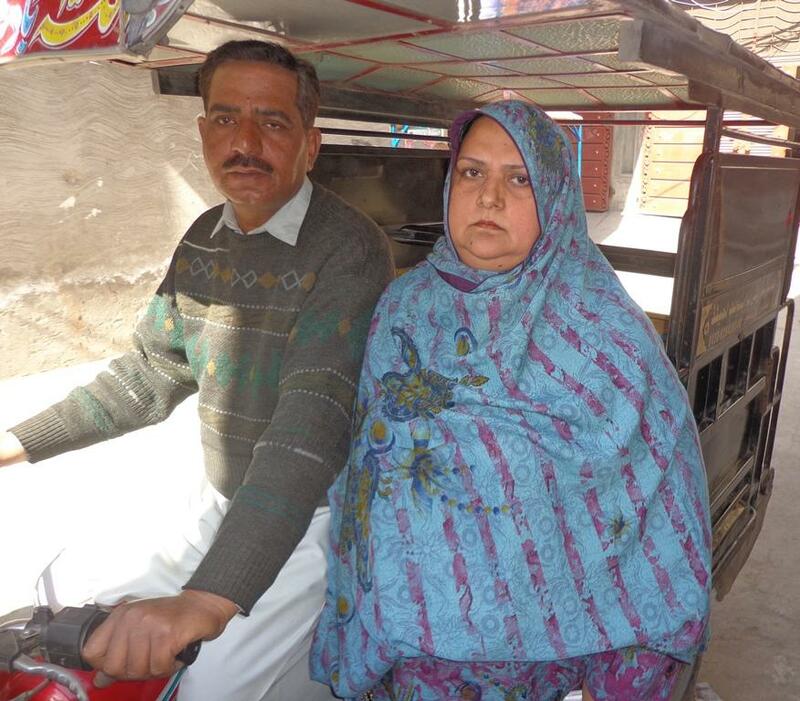 A loan of $400 helped to fix moto rickshaw's body and engine for her husband's transportation services. Naseem is a forty-six year old lady living with her spouse and five daughters in the area of Lahore, Pakistan. Pictured here with her husband, she wants to save so that she can provide better living conditions for her children but it seems impossible in the absence of a profitable source of income. Her husband has been driving a moto rickshaw for several years but his income is insufficient to feed his entire family. He has to maintain the motorbike and rickshaw’s body but he does not have sufficient cash in hand to fix the problems. Therefore, Naseem has requested a loan from Kiva’s field partner BRAC Pakistan so her husband can be able to fix moto rickshaw. She hopes that she will be able to save enough to meet any sudden needs of her family.